Small disposable units for gearboxes, & hydraulic reservoirs. 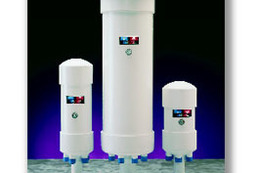 Steel units for harsh environments such as chemical plants, welding shops, marine applications, tank cars, etc. 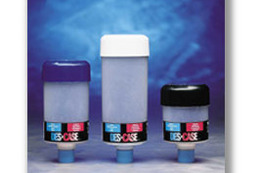 The Des-Case tank breather was designed specifically to remove moisture from the air of storage and process tanks. As the moist, dirty air is drawn through the unit, the moisture is extracted by the drying agent, and a knitted polyester filter removes particles in the air down to 3-microns. 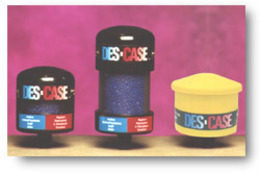 Complementing the Des-Case disposable line are the Button Breather (DC-BB) and the DC-1. 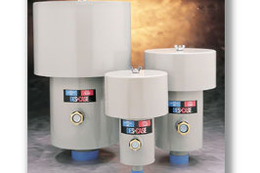 Offering some of the smallest case dimensions in the industry, these Des-Case breathers aid installation on smaller equipment and in tight or confined areas. The units are rated 3 cfm.